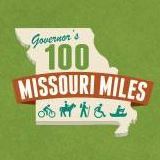 It is time for Missouri bicyclists to unite!!! Important MBF organizational meeting Sunday, November 3rd, 2002, Jefferson City. Bike ride in the morning, presentations in the afternoon. Caryn Giarratano has really outdone herself lining up a stellar cast of bicycling experts. Don't miss it! Click here for details. intermodal connectivity, environmental impacts and interagency coordination. need convenient, safe access to other modes of transportation. employment centers and shopping areas will receive particular attention. * MoDOT will develop or support the following items. on the state transportation system. · Education on use, safety and benefits. · Technical advice and input. bicycle/pedestrian coordinator at the Jefferson City headquarters. replacing Dennis Scott, who took a similar position in another state. master's, an educational specialist and a doctorate. in the proposed I-70 Corridor! ProBike/ProWalk conference in St. Paul, MN. I am trying to gather as much information in as short a time as possible to equip myself to do my best to make our state a better place in which to ride a bicycle and in which to be a pedestrian. The MoDOT folks have, without exception, been kind, helpful and interested in helping to make our state more bike/ped accessible. The problem I have encountered is that it takes sooooo looooong to make changes. I am amazed by the number of other agencies, city groups and MoDOT departments who must have input into decisions. During my efforts to gain b/p accommodations on the Jefferson City Bridge, I am constantly amazed by the amount of money and the difficulty level required by something I thought would be quick and easy. MoDOT is required to meet federal and state standards for ADA, lane widths, percent of grade, guard rails and sidewalk width, plus stay within the maximum load-bearing capacity of the bridge! So far I have permission and funding to replace the grates with bike-safe ones and restripe the lanes on the northbound bridge to allow a seven-foot outside shoulder. The plan is to accomplish this next May. I have discovered that it is impossible to "just do it!" Most days I am grateful for the day to end. It's not because I don't like what I'm doing...it's because my poor 64k brain has been stuffed with 250k of vocabulary and new knowledge! It is my hope that I will be able to email regular updates on my progress towards making Missouri a better place for bicyclists and pedestrians. Please let me know if you wish to be on the email list. BikeKC passed a crucial committee meeting vote today, August 7th, 2002. Now we need your support to help it pass the full City Council. * Add a network of bicycle routes to already-existing streets. council with a favorable recommendation. Our "Bike Parade" to the committee meeting was a great success and a lot of fun. We estimated over 60 riders joined in--not bad for a ride on a Wednesday afternoon that had only been announced a few days before. Are drivers willing to share the road with bicyclists? Riders have a plan they say will make cycling safer. It is called Bike KC, and supporters are gearing up to put it before a City Council committee this week. KANSAS CITY, Mo. -- Are drivers willing to share the road with bicyclists? Riders have a plan they say will make cycling safer. It is called Bike KC, and supporters are gearing up to put it before a City Council committee this week. KMBC's Bev Chapman reported that Meyer Boulevard and Valley are two roads that one day could contain a painted bike lane. Brent Hugh and his son, Jonathon, 6, believe the metropolitan area would be a better place if there was more bicycling instead of driving. "It could really make our city a more livable place," Hugh said. Hugh and other riders are supporting a plan to integrate a network of bike routes on Kansas City streets, like the one he rides in Raytown. "It just made a tremendous difference," Hugh said. "Now you see families walking, people bicycling, kids bicycling." The plan has been years in development, but is now stuck in committee at the city council. Your support could make the difference in making bicycling a safer and more convenient transportation and recreation option in Kansas City.